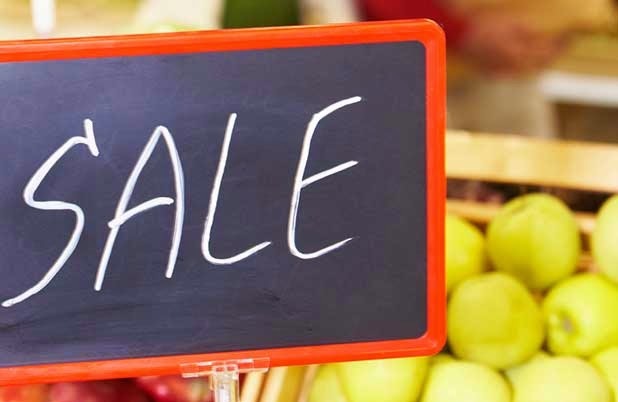 Businesses that sell perishable items such as baked goods, vegetables, fruits, or plants often feel that they want to get rid of their product at the end of the day and so they discount it in order to “get rid of it”. While discounting your products will temporarily boost sales and bring in customers who may otherwise not buy your product, discounting too frequently will not help your profit or your product image. Some farmers markets do not allow end of day discounts, and there is a very good reason for this. Discounting too frequently will not help your profit or your image. Grocery stores used to offer day old bread at a discounted price but they stopped this practice when they realized that they were losing money from their fresh bread sales. Their customers would continually purchase the day old bread at the discounted price instead of spending more for fresh bread. These stores eventually stopped selling day old bread because they found it was more profitable for them to donate old bread to food pantries than to sell it at a discount. Niche marketing, or focusing marketing efforts on a specific segment of the population, is a recommended practice for small food businesses who sell directly to the customer. Small food businesses produce high quality food items with attributes that mass produced foods do not such as handmade or locally grown. Higher quality demands a higher price, and price is linked with product image. For example, when you buy an everyday item that is priced very low, you may think that something is wrong with the product. When an item is priced higher than normal, there is a perceived higher value in that product. There are different types of customers in the market. In a previous blog post “Do YourProducts Meet Your Customers’ Values?”, we learned that not all customers are looking for the same product attributes. Some customers consider price more than other product qualities such as whether it is locally produced or not. Other customers consider the intrinsic value of the product, including where and how it was made and with what ingredients, before price. Most food businesses know that when a price is too high, the product will not sell. When the price is too low too frequently, the business image and profits will suffer. Even with bargain shoppers, there is a point at which price will no longer influence demand. There are critical limits for pricing. For example, when the cost of a pint of heavy cream drops from $2 to $1, demand increases. But when the cost drops below $1, demand no longer increases (Perner, 2008). Pricing is just one of many factors which influence a sale. Mark Hunter, the author of High-Profit Selling: Win the Sale Without Compromising on Price says, “Stop thinking the conversation is about price. It’s about the customer and the solution you know you can provide to them”(Hunter, 2013). When the customer’s needs are addressed, the issue of price doesn’t come up as quickly. This statement also reminds business owners to listen to the customer and find out what their needs and wants are. Keep the integrity of your high quality product. If you are concerned about wasting your products, find a food bank that will accept your old products, or find a way to turn the excess into compost. Today’s customers want to know the story behind your business and they want to know about causes that your business supports (ConAgra Foods, 2014). Making food bank donations or making compost could be a behind the scenes story that you are proud to share with your customers without hurting your profits.